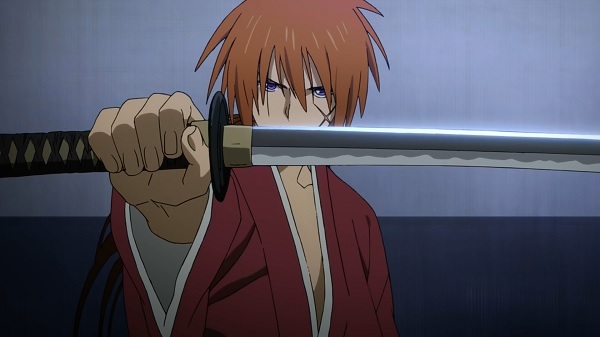 If you were to ask almost any anime fan about the first five anime they watched, a number of them would likely mention the Rurouni Kenshin anime series which aired in North America ten years ago. Now almost a full decade after the series stopped airing, Sentai Filmworks has released a special OVA set created by Studio Deenin 2012 to put a different spin on one of the most popular story arcs in the original anime, the Kyoto Arc. However has this well-known story arc transitioned successfully into a ninety minute OVA release? Considering the limited run-time of the OVA set, the story picks up rather abruptly by focusing on Misao Makimachi, a member of the Oniwabanshū clan of ninjas. 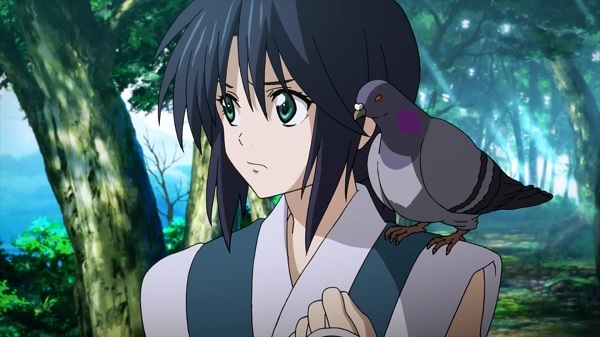 However with the leader of her clan missing and many of their clans’ best fighters missing with him, Misao is searching for the one man who her master was looking for, Kenshin Himura. Upon finding Kenshin and learning the fate of her clan members, Misao continues to travel alongside Kenshin in the hope that she may still find her master, though by doing so she finds herself embroiled in a plot that may set all of Japan ablaze, starting with Kyoto. 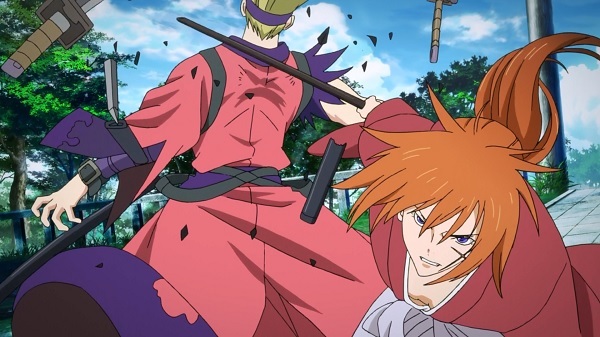 With the deadly swordsman Shishio pulling the strings and a number of enemies in their path, will Kenshin and his allies be able to put a stop to his plans? Trying to determine a target audience for this release is difficult. For those unfamiliar with the franchise, trying to jump in at this point would not only be a confusing mess with almost zero character information provided, only a bit of information regarding Shishio’s plot and barely any context outside of that. For those who have seen Rurouni Kenshin and experienced the Kyoto arc already, they will find themselves immensely disappointed with what is presented here. Attempting to cram everything from the Kyoto Arc into only a small time-frame means that not only is the storyline poorly handled, even the battles are pathetically handled and many of them have been skipped entirely. 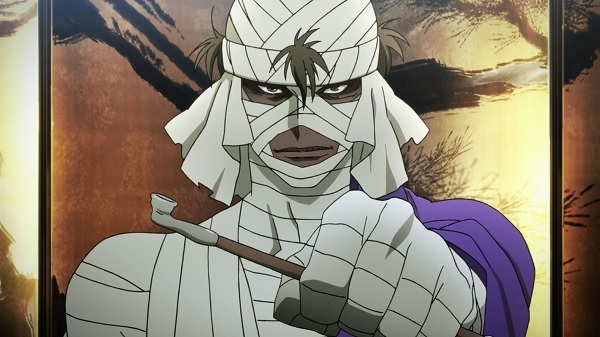 Shishio still plays a rather effective villain and his plans to overthrow the Meiji government and his way of thinking certainly make him an intriguing enemy outside of his mummified appearance. Unfortunately outside of that, there is almost no original content here outside of a change of venue for most of the aforementioned climactic battles. Despite mentioning how this release is a “new perspective” from Misao’s eyes of the events of the Kyoto Arc, practically every important event, including most of the battles, occur quite a distance away from Misao’s actual location. To make things even worse, the various allies of Kenshin’s are mistreated to such an extent that outside of a brief meet-up, viewers wouldn’t even know that these characters are actually friends and even then, numerous characters which are meant to be developed in this arc barely are referenced but still appear as if viewers should already be expecting them. 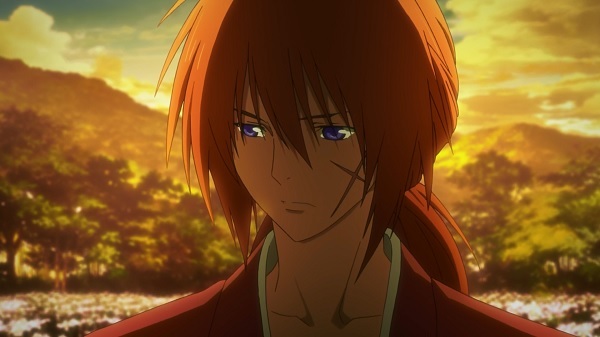 Rurouni Kenshin: New Kyoto Arc may be worth re-visiting for the most die-hard fan of the series or those who maybe never experienced the original arc despite catching earlier bits of the series, but ultimately it not only pales in comparison to the original, it barely tells a proper story outside of a few battles which may as well be the lowest-key affairs given the amount of attention paid to them and Shishio’s ultimate plan. If there is one thing that the Rurouni Kenshin: New Kyoto Arc truly excels at, it is backgrounds. While it may be a strange focus, one of the first things that will likely catch the viewer’s eye is how extravagant some of the scenery is in this release. There are numerous locales visited over the course of the series and even when night falls, extra attention has been given to make sure every scene looks its best. As for the characters themselves, Studio Deen has kept the same type of character designs used in the original series but more modern techniques have been used to create the characters, which means some minor details have been lost in transition but everything is vibrantly presented with bright colors and thanks to the incredible backgrounds, the characters almost always are great looking. Unfortunately the battles which used to be the highlights of the original Rurouni Kenshin series are poorly represented with this release. Perhaps it is due to the time constraints of the release, or perhaps they were worried about the budget, but nearly every single fight lasts no more than thirty seconds and most of the action isn’t even shown to viewers, instead giving them a “Dragon Ball” effect of characters fighting too fast to be seen. Now this release contains both the original Japanese voice work and the new English dub provided by Sentai Filmworks. 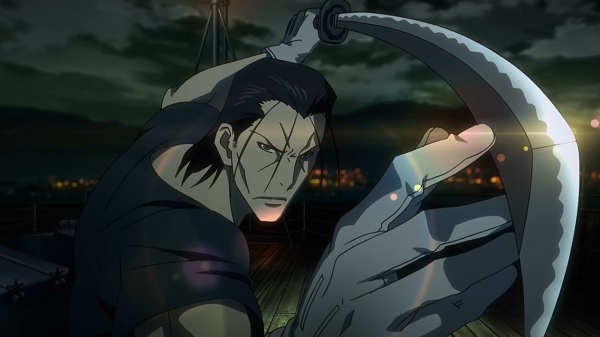 However the first thing viewers should note is that the voice actors who provided the voice work for the Rurouni Kenshin anime which was broadcast on television were not called to work on this project. Instead Sentai Filmworks has chosen to go with an entirely new English voice cast for the New Kyoto Arc. Now while this change in voice actors wouldn’t be too much of an issue if it wasn’t for the fact that the dub is sub-par at best. Outside of Misao’s voice actress Meg Bauman providing a decent job, the rest of the characters are voiced so poorly and without any emotion that their characters appear to simply be going through the motions without caring about the events occurring at any given time. The dreadful voice acting means that even though many may wish to check out the English dub, simply sticking to the Japanese voice track is likely the best choice. 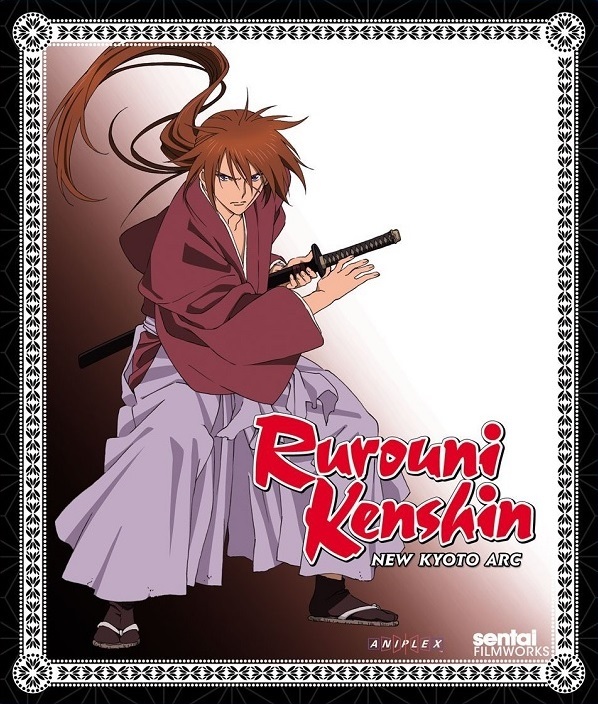 Unfortunately the only extra features included with Sentai Filmworks’ Rurouni Kenshin: New Kyoto Arc are trailers for other Sentai releases and credits for the disc, meaning bonus features are pretty much non-existent. Rurouni Kenshin: New Kyoto Arc finds itself in a strange place. Newcomers will be left scratching their heads at nearly everything happening in this release while old fans will be left disappointed by this paltry offering. By forcing a popular story arc into a limited time frame, not only does the story suffer greatly, but even the sword fights are cut to a bare minimum. This is quite a shame however as the New Kyoto Arc is presented with gorgeous animation, character design, and background work and witnessing a longer fight would certainly have helped this release be at least partially decent. Instead the New Kyoto Arc is presented with a poor English dub, a terribly handled storyline and barely anything fans of the series would appreciate or newcomers would understand.